I love to sew, but with sewing comes a lot of scraps. I just can't seem to throw away those small pieces of fabric and elastic. 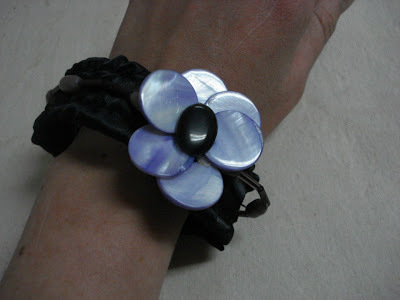 I made this bracelet with the rest of the waistband elastic from a skirt that I was making. I just love how sophisitcated and pretty it is. Don't you think? 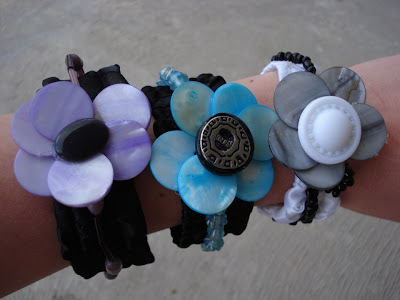 I made these fun bracelets out of stretch elastic, satin ribbon, beads, and buttons. Great use of scraps! Thanks for linking! 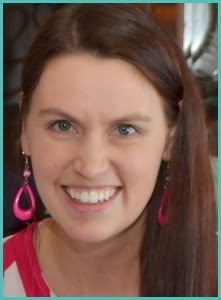 I'm visiting from polka dot luv, and i'm so glad i found your blog. after looking around i follow you and have your button! i am so excited to see what you have next. those rag blankets you make are adorable! i love them. i wish i had the patience to just do one myself.. but i dont.. haha! maybe one day! but i love your site! those bracelets are cute as well.. i'll have to try something like that ! found you on new friend friday! So cute and a clever way with scraps. LOVE the pearlized colored buttons. Love them! These are so cute. 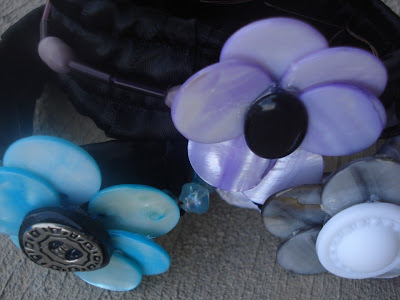 I love the beads! Cute way to keep from wasting any crafting stuff. Those pearly buttons are so pretty. Thanks for linking to Craftastic Monday! Super cute!! I have a hard time throwing away my fabric scraps too! Beautiful bracelets! Great way to use those scraps! This is great! I keep all of my scraps from just about everything. Thanks for sharing. Oh I lovveeee these!! They are so cute! Thanks so much for linking up to Whatever Goes Wednesday!